President Chester Arthur: Short biography of President Chester Arthur and the key events during his presidency. Chester Arthur (1829-1886), nicknamed the "Walrus" or "The Dude President", was the 21st American President and served in office from 1881-1885. The Presidency of Chester Arthur spanned the period in United States history that encompasses the events of the Maturation Era or the Gilded Age. President Chester Arthur represented the Republican political party which influenced the domestic and foreign policies of his presidency. The major accomplishments and the famous, main events that occurred during the time that Chester Arthur was president included the concerns regarding Mexican Migration and the Chinese Exclusion Act of 1882. Other events included the Star-Route Scandal involving bribes of Postal Officials (1882), the Pendleton Act (1883) for Civil Service reforms and the establishment of the Bureau of Labor in 1884. This was also the period when the construction of the Brooklyn Bridge and the Washington Monument were completed. Chester Arthur died following a stroke on November 18, 1886, aged 57. The next president was Grover Cleveland. Nicknames: Walrus or "The Dude President"
The Nickname of Chester Arthur: Walrus or "The Dude President"
The nickname of President Chester Arthur provides an insight into how the man was viewed by the American public during his presidency. The meaning of the Chester Arthur nickname "Walrus" refers to his appearance and his trademark 'handlebar' moustache. "The Dude President" is in reference to his fashionable and extravagant clothes. The character traits of President Chester Arthur can be described as charming, friendly, elegant, extravagant, loyal and compassionate. It has been speculated that the Myers-Briggs personality type for Chester Arthur is an would be INTJ (introversion, intuition, thinking, judgment). A reserved, analytical and insightful character with a strong sense of independence. 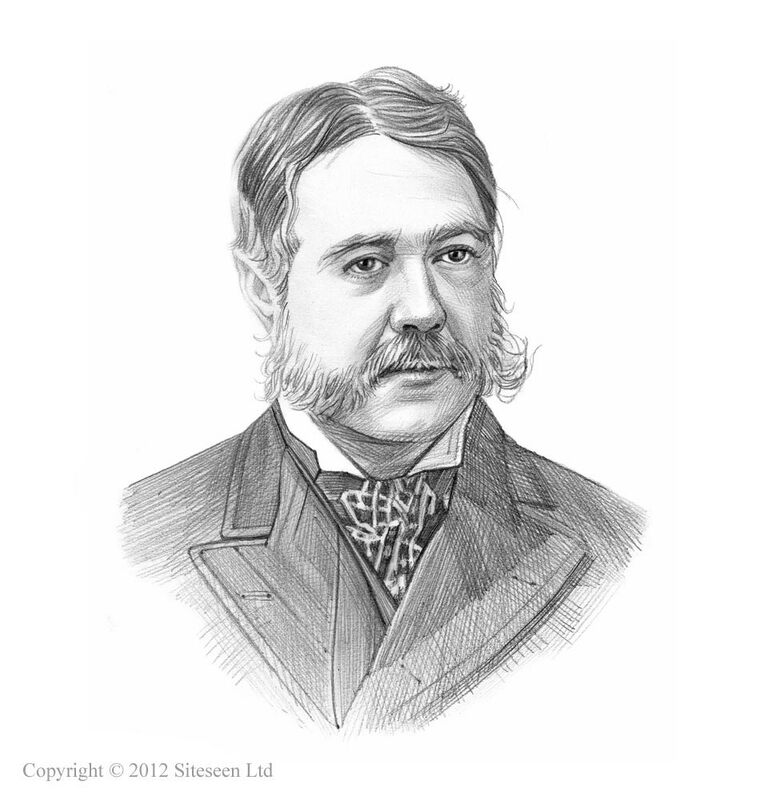 Chester Arthur Personality type: pragmatic, logical, individualist and creative. The accomplishments of Chester Arthur and the most famous events during his presidency are provided in an interesting, short summary format detailed below. Summary of the Pendleton Civil Service Reform Act: The Pendleton Civil Service Reform Act reformed the 'Spoils System', following the assassination of the previous president, James Garfield, by a vengeful and disgruntled ex-supporter. The Pendleton Act was passed on January 16, 1883 and prevented presidents from appointing federal office seekers. Summary of the 1882 Chinese Exclusion Act: The 1882 Chinese Exclusion Act was passed on May 6, 1882 following the completion of the Transcontinental Railroad and the massive increase of unemployed laborers. The Chinese Exclusion Act banned the entry of unskilled Chinese immigrants to the United States of America for an initial period of 10 years. The law was later extended and not repealed until 1943. Summary of the Immigration Act of 1882: In 1882 nearly 1 million immigrants came to America. In response to the massive rise in immigration the government began to develop a national immigration policy. The Immigration Act of 1882 was passed on 3 August, 1882 restricting immigrants from Europe and made several categories of immigrants ineligible for entry into the United States. Summary of the 1885 Alien Contract Labor Law: The 1885 Alien Contract Labor Law aka the Foran Act, was passed by Congress on February 26, 1885 and virtually banned foreign contract labor. Summary of Mexican Migration: Cheap Mexican Labor was required to build the railroads in the south but as the railroad construction projects came to an end the subject of Mexican Migration was also raised during the presidency of Chester Arthur. Summary of the Star-Route Scandal: The Star-Route Scandal involved bribery and corruption of Federal postal officials. The prosecution trials were conducted during the presidency of Chester Arthur Administration, the fraudsters were prosecuted and the Star Route postal ring was shut down. Summary of the Brooklyn Bridge: The Brooklyn Bridge, the first steel-wire suspension bridge in the world, was opened on May 24th, 1883. The construction of the Brooklyn Bridge was called one of the wonders of the Industrial Revolution. Summary of the First Skyscraper: The First Skyscraper was the Home Insurance Building that was built in Chicago, Illinois in 1884. Summary of the Washington Monument: The Washington Monument , an obelisk on the National Mall in Washington, D.C., was dedicated as a memorial to George Washington on February 21, 1885.